Managing a data center is like maintaining a plane … While you’re also flying it. Here’s an invaluable guide for smooth flying. Good news! You are just a click away from receiving the key to operating a more efficient Data Center. 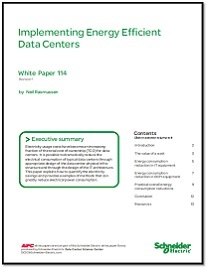 Your FREE e-book -- Essential Elements of Data Center Facility Operations -- describes a balanced critical facility management program with twelve essential program elements. Whether you use this information for O&M development or as a tool for performing a gap analysis on an existing program, you’ll find it tremendously useful. Practical tips and advice throughout result in many benefits for your facility, from lower costs to improved availability. Download and read it today.